As we start the new year, you’ve probably set some intentions about changes you’d like to make over the coming months. Personal growth and professional development likely made your agenda. Financial advancement is likely on the list, too. As part of your checklist consider evaluating what you are paying in fees, especially when it comes to index funds. Index funds can be a solid vehicle for garnering market returns when balancing costs against your gains. Take Vanguard Total Stock, for instance, which charges only 0.04% each year. This is reasonable, as the typical stock index fund’s expense ratio is down to 0.09%, according to a recent article in Barron’s. That’s less than a dime for every $100 you invest. Plus, this number represents a decrease from the year 2000’s rate of 0.27%, according to the Investment Company Institute, the fund industry’s lobbying group. Putting dollar signs on the issue, a $50,000 investment in an S&P 500 fund charging 1% would cost nearly $500 a year more in fees compared with a low-cost product from Fidelity, Schwab, Vanguard or others. But the industry’s approach to fee calculation – on an asset-weighted basis – hides an important reality: “Hundreds of billions of dollars are sitting in share classes of index mutual funds that charge well above 1% in annual fees,” says Barron’s. Consider that nearly all fund families offer the same mutual fund portfolio through different share classes, and you see the rub – share classes can have various fees and expenses depending on the sales agreements and services. “The share class of a fund found in a 401(k) plan, for instance, will usually have different fees than the same fund bought through an advisor,” says Barron’s. Adding salt to the wound, a lot of these funds simply track broad market benchmarks like the S&P 500. Nonetheless, these big-fee funds are charging at a rate on par with actively managed funds. And (wait for it), some are even exceeding their more active counterparts in fee structure, reaching 1.6% a year. Data on this issue from Broadridge Financial Solutions is staggering. In total, $190 billion is currently held in share classes of equity index mutual funds with expense ratios topping 0.17%, including more than $53 billion in funds that charge more than 0.5% to track US stock indexes. These funds are held in various accounts, from full-service “wirehouse” brokerage firms to banks to independent broker-dealers to registered investment advisory firms. 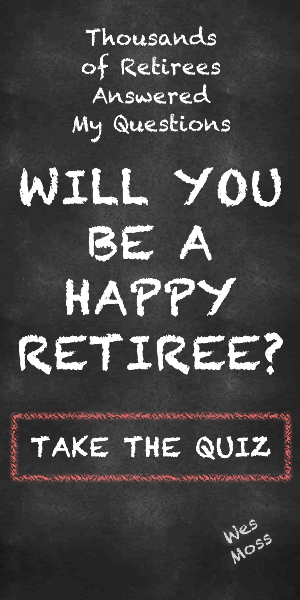 They even show up in 401(k) and 403(b) retirement plans, reports Broadridge. As further evidence of this trend, Barron’s reports that BlackRock (BLK), JPMorgan Chase (JPM), Invesco (IVZ), Guggenheim Partners, and Wells Fargo (WFC) all have share classes of S&P 500 funds that charge more than 1%. And, the C-class shares of Rydex S&P 500 (RYSYX) sits atop the fee charts for S&P 500 funds with a 2.33% expense ratio, according to research firm CFRA. Other high-fee funds include the C-shares of Invesco S&P 500 Index(SPICX), which charge a 1.29% expense ratio; JPMorgan Equity Index (OEICX), at 1.05%; and Wells Fargo Index (WFINX), at 1.2%. While all of these firms offer cheaper share classes, many investors aren’t aware of how much they are paying for their investments. And higher fees mean lower market returns. What seems to have happened is that, in taking advantage of the indexing trend (which began in 1976 with the Vanguard Index Trust), the high-fee funds are defeating the purpose behind indexing. Let’s focus in on Rydex, possibly the most expensive S&P 500 index fund in America. It offers a good reminder to “look under the hood” of your sales agreement. In return for tracking the S&P 500, Rydex charges a management fee of 0.75%, 12b-1 fees of 1% (meant to compensate brokers or advisors for fund distribution or investment advice, staying in place long after a fund has been sold to the investor), and “other” expenses of 0.58%. These “other” expenses don’t include fees embedded in the returns of swap contracts the fund uses, representing an “indirect cost” to investors, according to the fund’s prospectus. Rydex has sold this fund since May 31, 2006, says Barron’s. It has returned an average 4.9% since, far behind the S&P 500’s 7.4% return, according to FactSet. Over that period, the Rydex fund returned 83.1% cumulatively versus 145% for the S&P 500. Ouch and ouch. But don’t fret, just be intelligently selective with where you invest in index funds. There are still plenty of inexpensive mutual funds and exchange-traded funds out there. So, make a belated New Year’s resolution to check your fee rate to ensure you’re not getting gouged. If you feel you’re being charged too much, make another resolution to start looking elsewhere to invest your money.